At THINK Health Education, we believe in delivering an experience that empowers resilience, confidence and curiosity, where heads and hearts are aligned, instinctively bringing our students’ talents and abilities to life. We place equal value on theory and practice. We ensure our students are trained in the real-world skills they need for success and give everyone a platform to change their world.The education revolution starts here! At THINK Health Education, we believe in delivering an experience that empowers resilience, confidence and curiosity, where heads and hearts are aligned, instinctively bringing our students’ talents and abilities to life. We place equal value on theory and practice. We ensure our students are trained in the real-world skills they need for success and give everyone a platform to change their world. The education revolution starts here! At THINK Education, we offer a high-quality education that will bring your talents and abilities to life and empower you with the real-world skills you need for success. We are the only Australian provider who offers a national nursing program and interstate transfer opportunities. According to your needs and your schedule, you can choose face-to-face course delivery or a blended study mode in person and online, and you can change modes at the end of any stage. 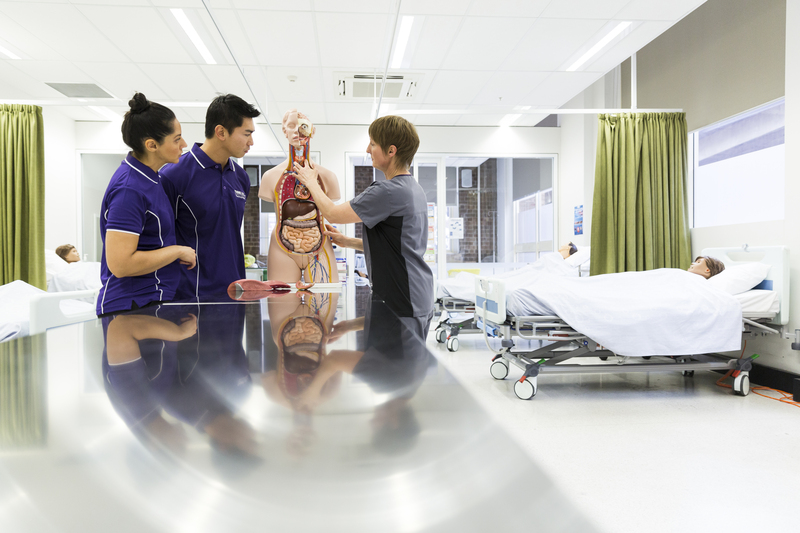 THINK Education currently offer students a Diploma of Nursing to provide them with an entry-level qualification for Enrolled Nurses (EN) in Australia. Students will graduate with the essential skills and knowledge to work in diverse contemporary healthcare settings. The underpinning knowledge and skills, and the graduate outcomes of this qualification, are aligned to the Nursing and Midwifery Board of Australia (NMBA) Standards for Practice: Enrolled Nurse, effective 1 January 2016. The elective units selected for this qualification have been chosen in consultation with industry representatives and, subsequently, accredited by the Australian Nursing and Midwifery Accreditation Council (ANMAC). 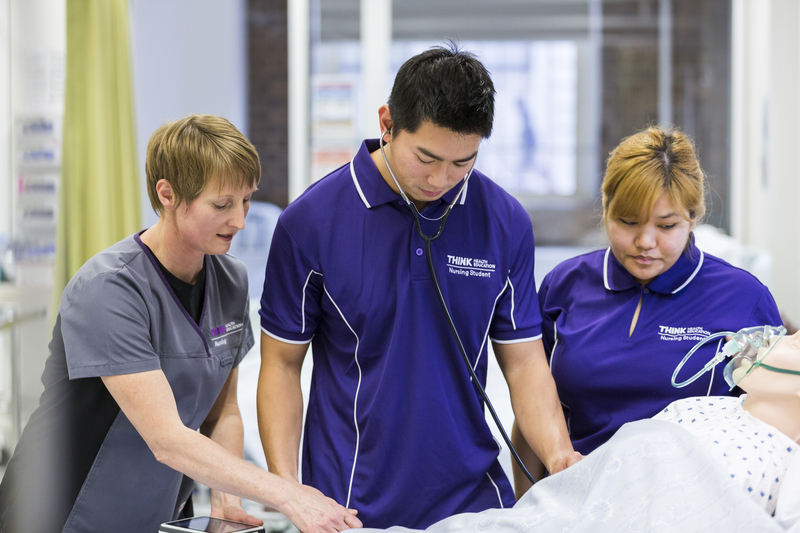 In Melbourne, THINK Education’s Diploma of Nursing is offered at the Torrens University, Flinders Street Campus. Surround yourself in a dynamic learning environment in the heart of the city. 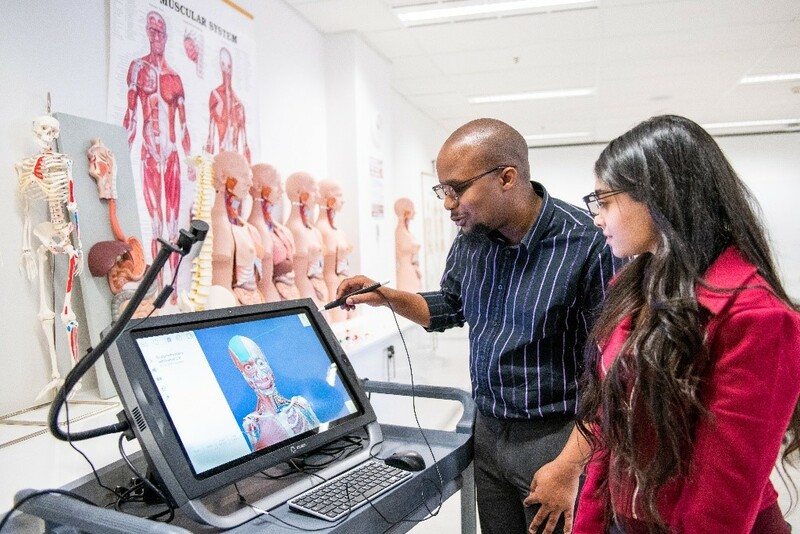 The Fitzroy Campus and Wellbeing Centre is a multi-disciplinary teaching clinic and education institution also offer courses provided by THINK Education. The clinic is open to the general public, students and staff, and appointments are supervised by qualified and experienced practitioners to ensure you receive quality healthcare and service. Treatments include natural therapy consultations, myotherapy treatments and acupuncture. Students train with real clients to practice their health and wellbeing skills whilst learning to understand customer expectations and how best to communicate professionally. Facilities include dispensary, manufacturing room and consultation rooms. Being a student at THINK Health Education also means being part of Laureate International Universities, a leading international network of innovative institutions comprising 70 universities across 27 countries, including our sister Torrens University Australia. Your nurse educators will be experienced nursing professionals who are also expert educators. Well-equipped simulated laboratories will give you greater opportunities to sharpen your skills to ensure you graduate competent and full of confidence to kick-start your nursing career. You will enjoy a supportive environment that encourages close collaboration between peers. We provide success coaching and personalised academic support to help you throughout your studies and all the way to graduation. We have four campuses, all conveniently located in the heart of Sydney, Melbourne, Brisbane and Adelaide. You also have the flexibility to manage your time. According to your needs and your schedule, you can choose face-to-face course delivery or a blended study mode, which includes both in-person and online sessions. THINK Health Education and our networked institutions offer you high-quality education that will bring your talents and abilities to life and empower you with the real-world nursing skills you need for success. 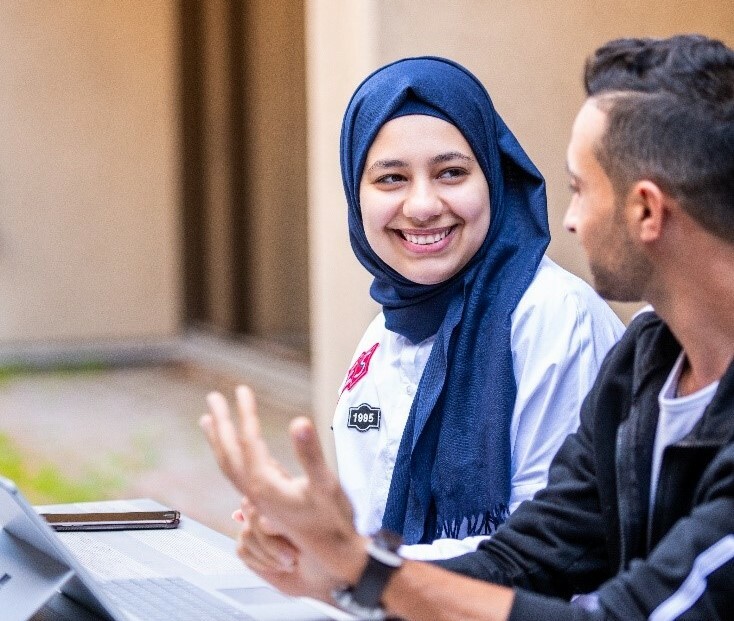 THINK Health Education is part of the Laureate International Universities, a leading network of innovative institutions comprising 70 universities across 27 countries – making you part of the largest network of higher education institutions in the world! In order to meet our accreditation with the Australian Nursing and Midwifery Accreditation Council, the applicants must meet the following minimum standards to enter into the HLT54115 Diploma of Nursing.